Aramis is a brand synonymous with the world of masculine fragrance. In fact, they go hand-in-hand and one simply cannot exist without the other. For nearly 50 years, the Estee Lauder-owned brand has created relaxed, handsome and comfortably masculine fragrances that celebrate every facet of manhood from the ruggedness of the stubble-clad rebel to the clean lines and smooth finish of the everyday businessman. For 2014, 49 years after the launch of their debut fragrance, Aramis are treating us menfolk to a new fragrance – ‘Aramis Adventurer’. This new addition to the Aramis wardrobe has been created for the “new generation of the Aramis gentleman”, who is reportedly “sophisticated, yet sporty”, according to the brand. The fragrance is rather unsurprisingly, a fresh citrus scent with marine undertones that speaks of outdoors activities and a clean sense of masculinity that befits the spotless yet active generation of modern men. 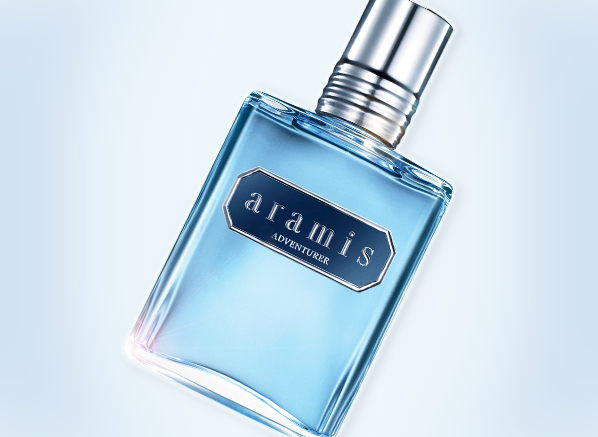 The blue juice carried inside the structured lines of Aramis Adventurer’s bottle hints at the freshness contained within. The fragrance opens with a zesty and refreshing blast of lime and mint with a good deal of black pepper for good measure. In the initial stages, Adventurer feels just shy of being drinkable due to a sharp sourness provided by the jagged edge of pepper and spice. In the heart, Adventurer becomes even fresher with strong marine and ozone themes that seem to hit the right pitch, where so many aqueous scents fail. This oceanic effect remains in force for a lot of the development, but ultimately settles into something less harsh and metallic as Adventurer transitions into its warm dry down. The base is mossy and woody, and manages to feel suitably robust whilst remaining relatively plush. A good ole slug of patchouli goes along way to add a dirty sense of depth, hinting at the deeper ends of the ocean, but ultimately, Adventurer finishes as it starts – a fresh and mobile fragrance with sharp edges and clean lines. As expected, Aramis Adventurer is a sporty masculine that stays very much within the strict confines of its genre. It is fresh, spicy and marine-like with ozonic and metallic undertones that ensure that the overall impression is clean and active, much like the scent of freshly washed sports clothing. I’d say that it isn’t quite as adventurous as its name suggests, but it does feel a bit more mature and balanced than the more high-pitched fragrances it shares its DNA with, such as Paco Rabanne’s Invictus. If you’re going to go for a blue ozonic fragrance then Adventurer is a solid choice. 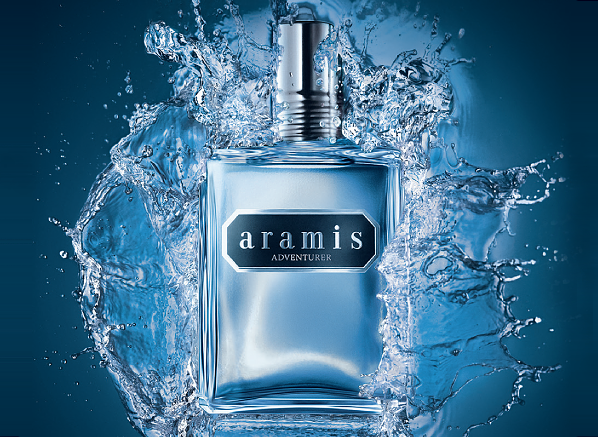 Head on over to Facebook to win the Aramis Adventurer 60ml Eau de Toilette! Ends 3rd September 2014, usual T&Cs apply. This entry was posted on Wednesday, August 27th, 2014 at 11:05 am and is filed under Fragrance, Guest bloggers, Men, Tried & Tested. You can follow any responses to this entry through the RSS 2.0 feed. You can skip to the end and leave a response. Pinging is currently not allowed.